Portland, Ore. – Neil Kelly Company, an award-winning design-build remodeling firm that has remodeled more than 30,000 homes, announces its Top 10 interior design trends for 2013. 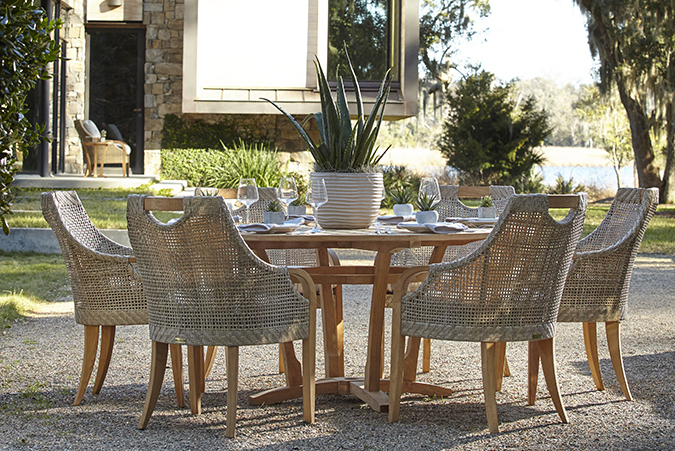 Neil Kelly’s team of 20 experienced design professionals shared their collective knowledge based on working with material suppliers and vendors from all sectors of the industry to come up with the following top 10 design trends for 2013. While every homeowner has specific ideas on style, the overall trend is toward simpler living and low-maintenance design, but with accent marks of color and splash that don’t overpower. This esthetic extends from clean and simple kitchen cabinetry to “bulletproof” countertops, pre-finished wood flooring and solid “pops” of glass, color and sparkling textures. The trend toward simplicity is also manifested in a growing demand for safer, healthier and more sustainable homes. A clean, simple, contemporary look will be popular with homeowners looking to economize and eliminate unnecessary clutter and fussy details that equate to high maintenance and complicated living. For those who don’t want to spring for new cabinetry, re-facing or refinishing cabinets offers more bang for the buck. Granite has been dethroned. 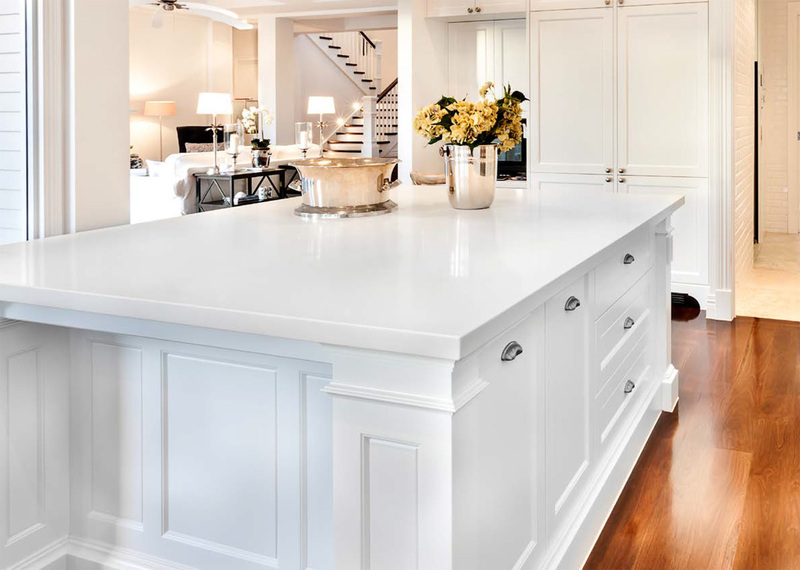 While granite isn’t going away and still has many die-hard fans, the new king of countertops will be quartz composite -- the closest thing to no maintenance, bullet-proof countertop materials available today. Pre-finished and engineered wood flooring will become more popular than the once gold-standard of site-finished flooring. Pre-finished woods provide a hard, durable finish, are an installation time saver, and eliminate the sanding dust dilemma. Engineered wood floors are also compatible with under-floor heating systems, a big plus in cold climates. Glass mosaic tile is on the way out. Taking its place are glass/stone/tile mosaic composites that can add more texture and visual interest and that tie in more readily with stone or quartz countertops. Be on the lookout for back-painted, solid glass panel backsplashes in contemporary settings, which provides an ultra-clean, almost ethereal look to a polished, modern kitchen setting. Goodbye double-sinks, hello deep single-bowl sinks. With accessories such as fitted colanders and dish drains, deep single-bowl sinks have all the benefits of a divided sink, plus the large size to actually fit that roasting pan or those baking sheets into the sink all at once. Stainless is still popular, but the quartz composites are a great value and durable option. Charcoal is the new black. 2013 will find this silky color everywhere as it blends the right amount of chocolate, grey and a touch of green. Synonymous with luxury, Calacatta marble will find its way into both traditional and contemporary bathrooms. Calacatta is a rarer stone than Carrara marble, but is quarried in the same region. It is valued for a whiter background and bolder grey veins. Bedazzled may find its way into home décor and design as homeowners seek a blend of classic textures and colors with pops of bold color and elements of sparkle. Glossy glass tile backsplashes and sparkle on polished nickel fixtures trend in 2013. With many certified aging-in-place specialists (CAPS), Neil Kelly designers predict a growing trend to help aging baby boomers safely “grow old” in their homes, for as long as possible. Watch for easy kitchen and bath upgrades to enhance functionality, comfort and safety. Green and sustainable design is here to stay. The number one trend for 2013 will be to create a healthy living environment, free of toxins and harsh chemicals. More and more homeowners are taking advantage of federal and state incentives to evaluate their home’s energy efficiency and overall performance. Upgrade trends include the use of low VOC materials to improve indoor air quality, testing combustion safety, and radon mitigation.